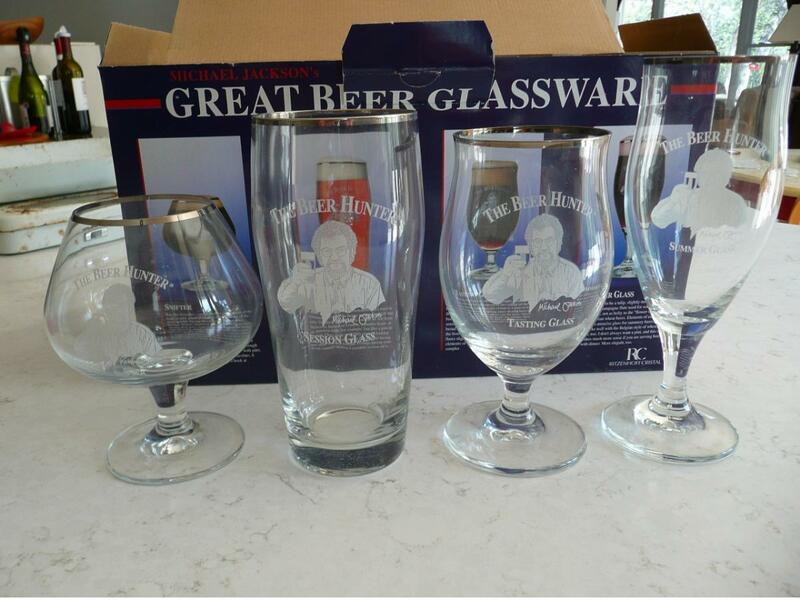 Extremely rare and collectible set of four new, unused Great Beer Glassware. In original box. Made in the 1997? by Ritzenhoff Cristal in Germany. Each glass is silver rimmed and features a likeness of The Beer Hunter himself, toasting to your excellent taste in beer and glassware. Identical item sold on MBC for $125 plus shipping in 2014! Set includes one each: snifter, session glass, tasting glass, and summer glass. Free shipping via Fedex to the lower 48 only. Payment must be received and cleared before shipping.